No.102086/MP1/Plg/ HMDA/ 2013, dated 23.07.2013. 5. From MC, HMDA, Hyderabad Letter No. issue of Telangana State Gazette, dated 12.01.2015. Gazette Notification and furnish the copies of same to the Government. sub-section (3) of the said section. undertaking any development in the site under reference. cost as may be required by the local authority. financial interests of the Government are preserved. that may be applicable under Urban Land Ceiling Act and A.P. any title of the land. 40’-0” WBM road, in front of the site under reference. HMDA before executing the Developmental work. 13. Consideration for CLU doesn’t confer any title over the land. imposed by the competent Authority. NORTH : Sy.Nos.13, 21 of Ameenpur Village. SOUTH : Sy.Nos.1147, 1148 of Ameenpur Village. WEST : Sy.No.14 of Ameenpur Village, Existing 40’-0” road. under the notified roads to the local bodies at free of cost. in G.O.Ms.No.168 MA&UD dated 07.04.2012. 19. Natural position of Nalas shall not be disturbed. the Irrigation Department, Revenue Department and HMDA. Village, and Part Village road. WEST : Existing Bhulkapur Nala and Village Road. (3) of the said section. development in the site under reference. the notified roads to the local bodies at free of cost. may be required by the local authority. the best financial interests of the Government are preserved. by any one on account of change of land use proposed. Authority to acquire land for any public purpose as per Law. NORTH : Sy.Nos.436, 418 of Tellapur Village. ZDP, along the Tellapur Village Boundary. WEST : Sy.Nos.438, 442, 443 of Tellapur Village. best financial interests of the Government are preserved. be imposed by the Competent Authority. NORTH : Sy.No.159 of Medchal Village. SOUTH : Sy.Nos.128 and 129 of Medchal Village. WEST : Sy.Nos.98, 154, 100 & 101 of Medchal Village. in the site u/r existing buildings should be demolished. Charges to HMDA as per rules inforce. of the Road.No.10 to a width of 120’ as was done in earlier case. NORTH: Pr.No. 8-2-82/A/487 (G+1) House. required by sub-section (3) of the said section. under taking any development in the site under reference. master plan road to the Local Authority at free of cost . the 12.0 Mtrs wide service road. 15. There will be no relaxation in front set back. NORTH: Sy.No.21/P of Katedan Village. SOUTH: Sy.No.21/P of Katedan Village. EAST : Existing 150 feet wide PVNR Express Way. WEST : Sy.No.20/P of Katedan Village. Municipal area, as required by sub-section (3) of the said section. 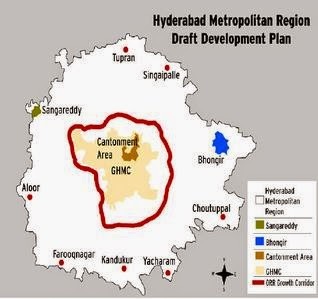 12. that the C/GHMC shall earmark the Nala leading to tank. NORTH: Sy.No.77(Part) of Hafeezpet Village. SOUTH: Sy.No.77(Part) of Hafeezpet Village. EAST : Existing 100 feet wide road. WEST : Sy.No.77(Part) of Hafeezpet Village. NORTH : Green Hills colony, Plot Nos.9 & 10, IDA, Uppal. School, Vignanapuri Colony, Gandhi Girijana Colony. 12. Consideration for CLU doesn’t confer any title over the land. NORTH : Sy.No.5/P, 4/P of Gachibowli Village. SOUTH : Sy.No.6/1 part of Gachibowli Village.